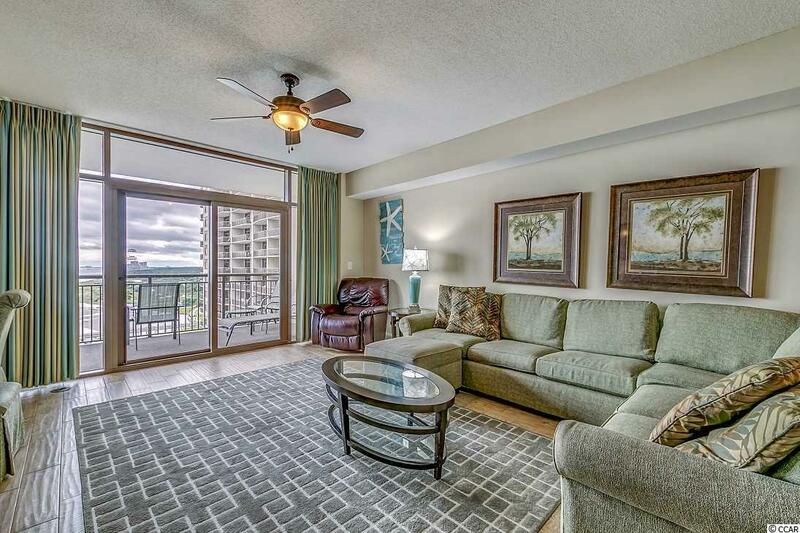 Spectacular oceanfront 3 bedroom/3 bath condo in the Indigo Building of North Beach Towers. 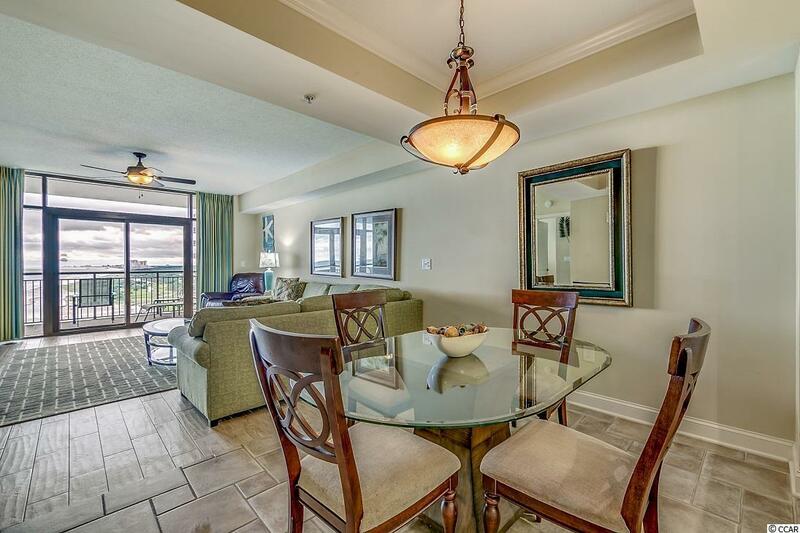 The Magnolia floor plan features 9' ceilings. Granite countertops, stainless steel appliances, new refrigerator in Kitchen. Wood look ceramic tile in Living Room & Master Bedroom & closet, upgraded carpeting & pad in guests rooms. Master Bath with whirlpool tub & shower. New Master Bedroom foam mattress. ED can lights in all baths, motion detector lights in bedroom closets & pantry. NEW IN 2018 - coordinated furnishings in dining room & living room, poly balcony furniture. Custom built sofa with commercial cushions & fabric. High efficiency dryer booster pump; keyed owner closet with metal shelving. Sliding screen doors in Master Bedroom and Living Room. 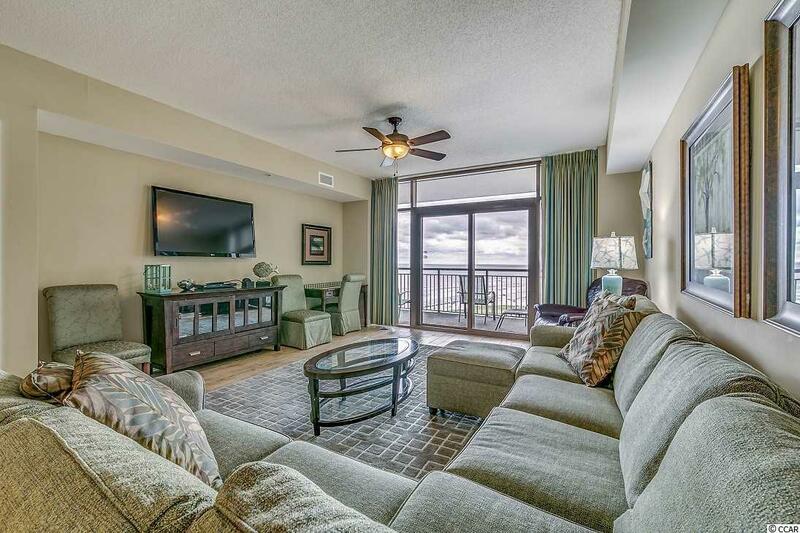 Expansive balcony with unobstructed views of the Atlantic Ocean. 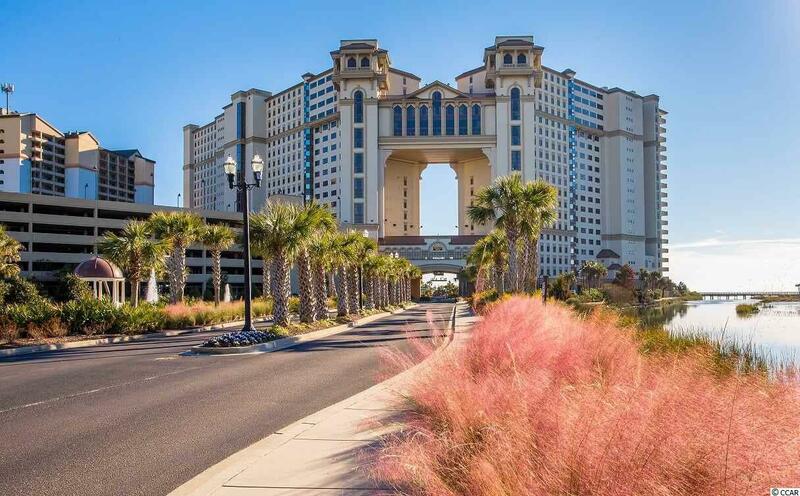 North Beach Towers offers 2.5-acre pool area with lazy river and the only swim-up bar along the Grand Strand, world-class Cinzia Spa, Beach Fit fitness center, and on-site restaurants.